I don’t cover a lot of music on this blog, it’s a Lambretta site after all… and everybody has their own taste in music. 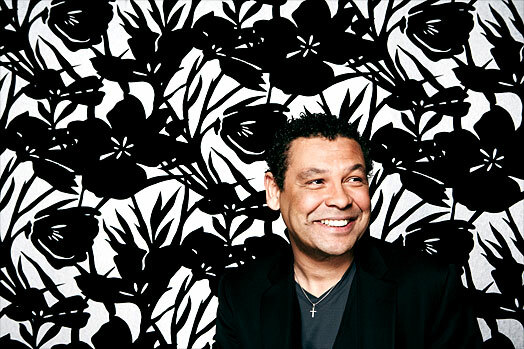 But there’s a show I’ve been addicted to for a long time, and that’s BBC 6 Music’s Craig Charles Funk & Soul Show. A lot of my readers, I know will already be fans, especially if you are in the UK, but even those further afield needn’t miss out due to the magic of the internet. Mr Charles, is originally made his name as a stand-up comedian, and ‘punk poet’ before making it big as an actor, probably being most famous for the iconic role of Dave Lister in Red Dwarf. He’s been in a ton of other stuff, notably driving a taxi in Northern soap Coronation Street. But enough of that. Let’s get onto the funky souly show! Since 2002, Craig has been hosting a weekly radio show on BBC 6 Music, which, in my humble opinion, plays some of the best sounds you are likely to hear. 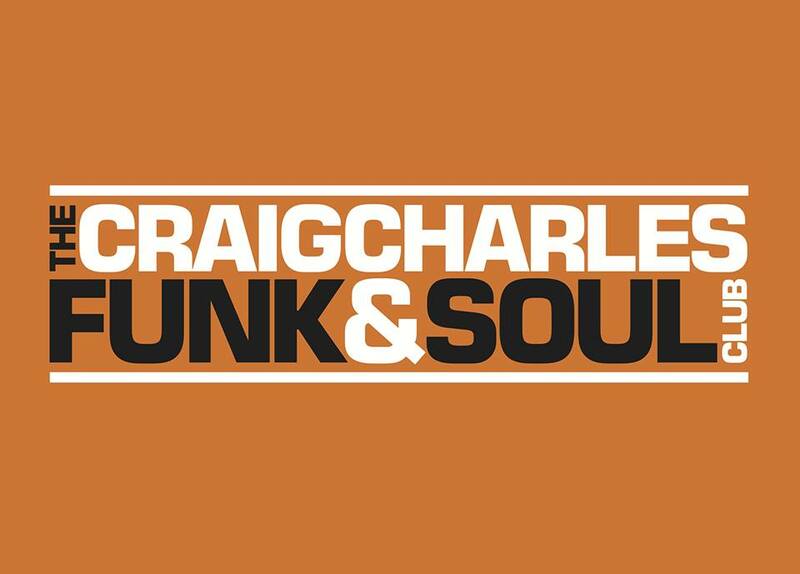 Clearly, with a name like the Craig Charles Funk & Soul Show, you’re going to expect a couple of things. 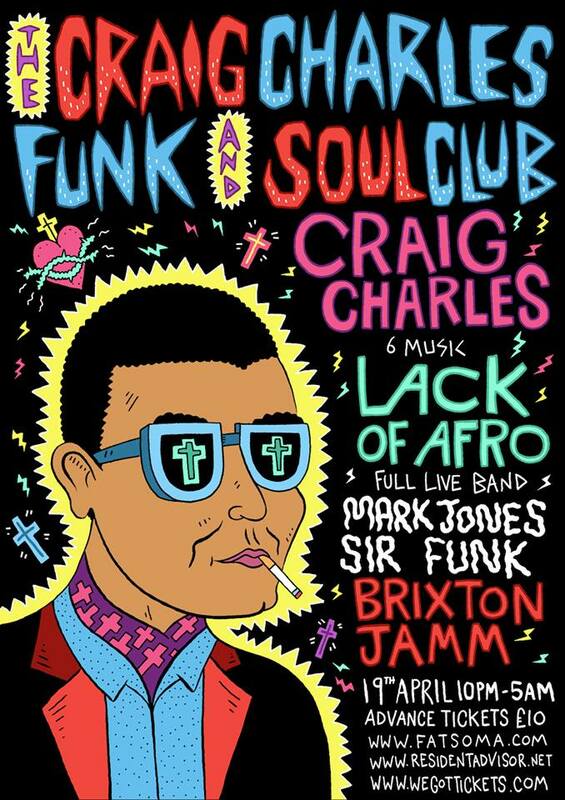 1, it’s hosted by Craig Charles, and 2, there’s going to be some Soul, and some Funk. Well. You ain’t gonna be disappointed on either score. There’s plenty of proper, good old fashioned SOUL, and Señor Charles manages to cram 2lbs of FUNK into a 1lb bag! But it’s more than simply soul and funk… there’s music from the 50’s to the 80’s from Jazz, R’n’B (PROPER R’n’B mind) Blues and Gospel. Sometimes he’ll go back to the 40’s for a bit of Jump Jive. There’s often a bit of Ska or Reggae in there too, a huge dollop of Latin and Afrobeat, as well as a bit of Disco and Hip Hop; and the occasional rockier or punkier track… as long as it’s got “a wiggle on” and it’s kinda Funky, Monsieur Charles will give it a spin! It’s not all old stuff from the vaults either, Craig has consistently sought out and championed the finest new bands, from the UK, US, Europe and around the world. And it’s amazing how much really good funk & soul is being made today. Since the show’s been running Craig has had everyone from James Brown to Paul Weller as special guests… and you definitely want to be around when he unlocks his “trunk of funk”. Recently there has been a shorter show on BBC Radio 2 straight after the Main Event… and while it’s a great hour, to me, it serves as a light dessert to the smorgasbord of the main 3 hour programme. When I can I listen to both, then I listen again, on erm, “listen again”. The Godfather of Soul, James Brown had the epithet “The Hardest Working Man in Showbusiness” But I think CC could give him a run for his money… Working all week on Corrie, 3 hours of the CCF&SS on 6 Music, another hour on Radio 2, and I haven’t even mentioned his live show yet, so I will. Yep, he does it all live, taking the Craig Charles Funk & Soul Club live at various venues… the next is the Brixton Jamm on the 19th April. I haven’t caught him live yet, but I imagine it will be a cracking show. So you might get the impression I’m a bit of a fan of the show. You’d be right. If for some reason it’s passed you by, you can check out the Craig Charles Funk & Soul Show on the BBC 6 Music Website, on Facebookage, or the Twitterati. If for some reason you can’t listen to the show online, you have once more option… you can get it on vinyl. Well, not vinyl, that shows my age… CD or MP3. There are a couple of great albums that showcase the kind of thing you’ll hear on his show, here and here. One more thing before I go, and this is important. The show is best listened to with you sunglasses ON. I recommend these.